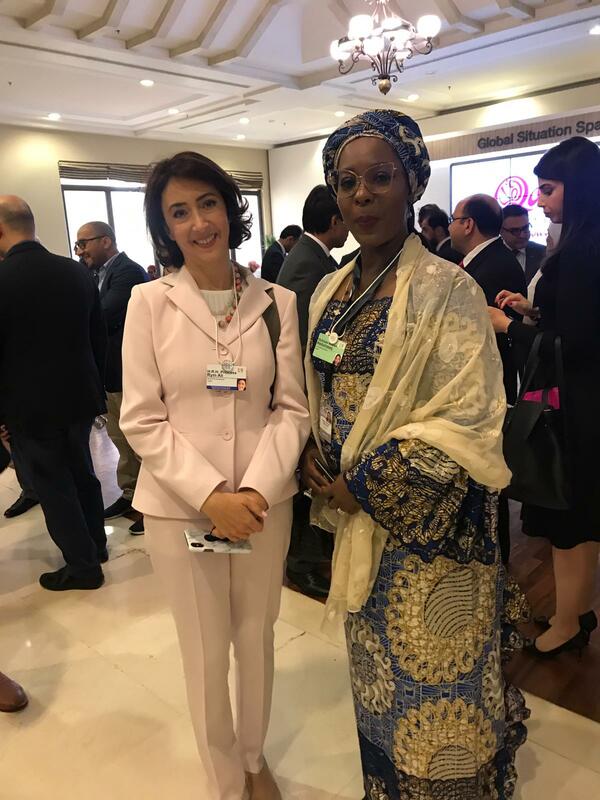 The wife of the Kwara State Governor-elect, Mrs Olufolake Abdulrazaq, has met and networked with foreign economics and development partners in ensuring a prosperous Kwara. 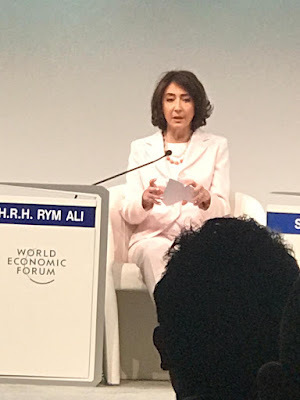 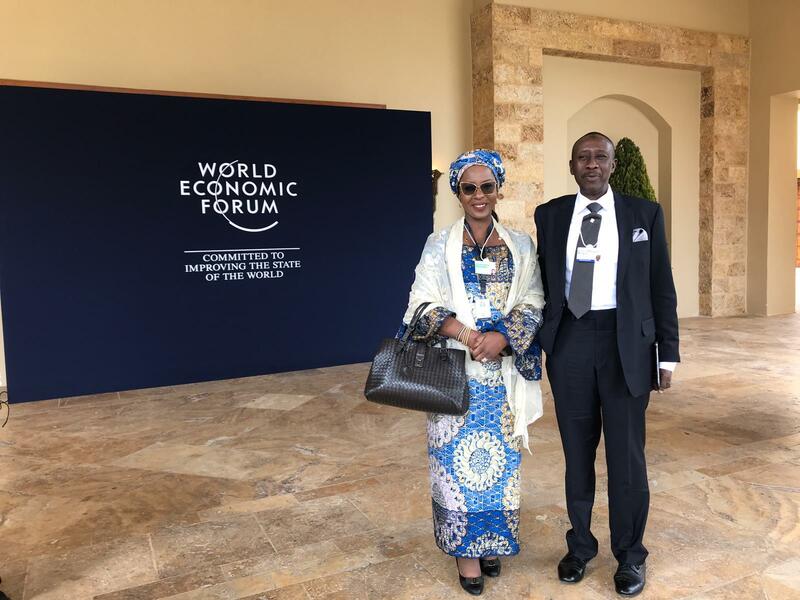 Mrs Abdulrazaq who is part of President Muhammadu Buhari's entourage to the World Economic Forum and currently in the Dead Sea Jordan added that their meetings also covered security and intelligence matters. As part of the incoming administration plans to wage war against hunger in the state, Mrs Olufolake Abdulrazaq was also able to locate Agro partners who are ready to partner with Kwara State in the fight against hunger and poverty. She said, "I have located Agro partners for Kwara and they are ready to assist in poverty alleviation." 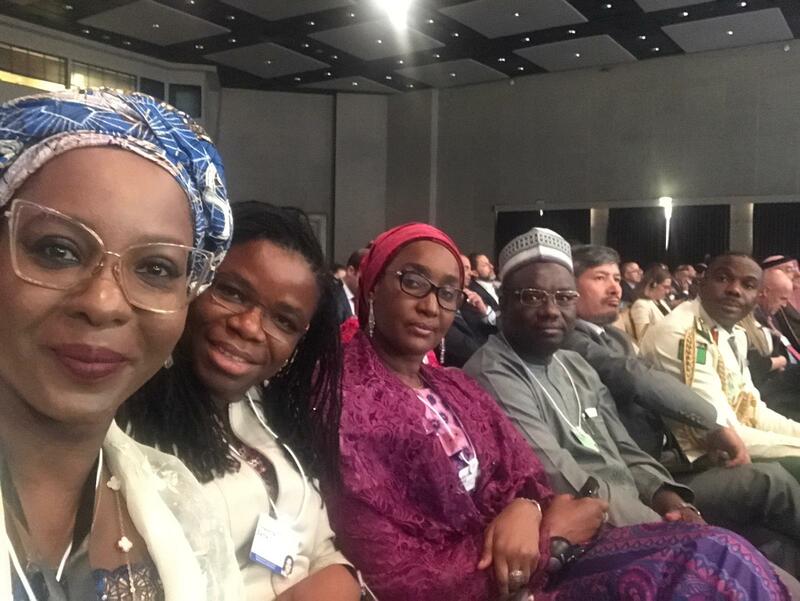 She expressed optimism on the intended foreign partnership which she stated that it would be very good for Kwara. 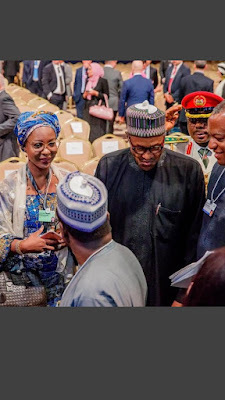 Other Presidential entourage at the World Economic Forum include the Executive Secretary of the Nigeria Investment Promotion Commission (NIPC), Commissioner for Refugees, Minister of Foreign Affairs, Minister of Interior, Governor of Jigawa and the National Security Adviser to the President.